President Trump opened his morning attacks and Nike was one of the first to feel the wrath of our President! This attack comes after his initial opinion on the current situation which he gave during his interview with the Daily Caller gave his opinion on the current situation with Colin Kaepernick! But Trump also acknowledged that Nike has the right to feature Kaepernick in the advertisement. 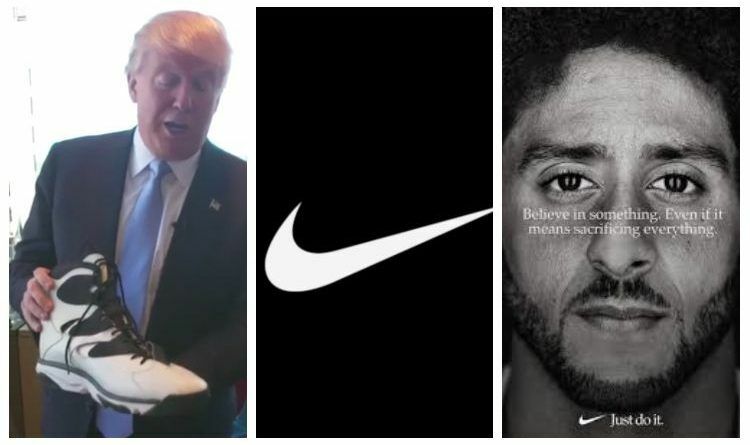 Do you agree with President Trump that Nike will sufer for their endorsment of Colin Kaepernick? ← Patriotic Shoes! Unlike Nike, Pro-Trump New Balance Gave $400 000 To Trump’s Campaign!